I get calls all the time from out of town buyers wanting to invest in Texas real estate. It’s affordable right now to buy a little property in the outskirts of Austin, but there are several things you’re going to need to consider before you jump right into the rental property pool. The first thing I tell any of my clients, whether you’re looking to buy your first rental property or your first home, is to get with a well-qualified lender. As an investor, you’re going to have to put down at least 20 to 25% for an investment property. The reason for that is because there is no mortgage insurance for investment properties, so you’re going to have to have that cash ready in addition to your closing costs, which is a nice chunk of change. Check out your options here. Another thing about investment properties on the mortgage side is that your interest rate is going to be a little higher than if you were just buying an owner-occupied property. Have your lender run the numbers for you before you decide that you want to start buying rental properties. For argument’s sake, I’m just going to be discussing the Austin market because that’s what I know, I’m an expert on the Austin market. I live here, I work here. This may not pertain to every city, but this is how it works here. One of the first things that you’re going to want to consider is, does the neighborhood have a very strong rental market? You really don’t want much of a vacancy rate between tenants. I would choose an area that has a low or no vacancy rate. We do have an incredibly strong rental market here in Austin, and that’s because 150 people move here every day. Several of my relocation clients feel like they’re under a lot of pressure so many of them opt to lease a house that first year so they can figure out where they really want to live. You want to pick a neighborhood that has a strong rental history. Number three is, you’re going to want to know your margins. When you’re looking at purchasing a property, there are a lot of things that go into it on the investor side. Things like the vacancy rate, which we just talked about. You also have a 1% yearly maintenance allowance that I tell people just to count on if anything goes wrong with that home. You’ll want to set aside about 1% of the purchase price just in case. Check out my YouTube video below. You’re also going to have to pay your property taxes, and that’s very important because property taxes in Austin vary. Oddly enough, Austin has a lower tax rate than some of the more affordable suburbs, and that’s because they’re still building up their infrastructure. Still building schools, roads, so the tax rate in some of the suburbs are higher. However, the price point is lower, so it may end up being a wash, but there are still pockets outside of Austin in the suburbs that have a low tax rate. Something else to consider is the HOA fee. 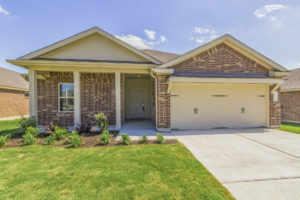 It’s kind of rare these days to find a house in an established subdivision outside of Austin that does not have an HOA fee. I also have clients that are okay with purchasing condos and townhomes, and those HOA fees tend to be a lot higher than if you’re purchasing a single family home. Just roll that into the whole equation and keep in mind that it’s probably going to be unavoidable. There are also monthly expenses to consider like pest control and lawn care. If you’re in an HOA there are a lot of my investors who choose to take care of the lawn themselves to avoid being fined if for some reason the yard isn’t being taken care of. Austin, Texas is a “buy and hold” city. Which means you’re probably not going to be making a lot of money on a monthly basis from your rental income. But, because our property values increase on average about 4 to 5% per year, it’s a great investment opportunity. There have been little pockets of Austin in the past few years that have seen 9 and 10% property values increases. It’s great as far as if you’re purchasing a house and you’re just letting it sit for five to 10 years, that’s great. If you think you’re going to be generating cash flow on a monthly basis, that is probably not going to happen. You just have to wrap your head around it and keep in mind that that’s the Austin market. Don’t buy a fixer-upper. Don’t buy a foreclosure. Don’t buy something that’s so inexpensive but once you get into it it’s going to need a ton of work. There are a lot of homes in Austin that you can still purchase that might need some minor repairs; paint, carpet, flooring, but keep those expenses to a minimum. Lately, my clients have been purchasing new construction. Another word of advice, focus on lower-priced homes, especially for your first rental property. Get something priced between $215,000 to $250.000 with low HOA and lower tax rate. Those are great houses to buy now because they will increase in value over time. If you want something that’s more expensive just realize you may not be making money on the front end. That’s something that goes along with purchasing in a “buy and hold” market. Or as I like to say, buy high, sell higher. Be realistic. This is your first rental property. It’s going to be incredibly stressful if you’re buying out of town. Just listen to and find a great realtor who works with investors and rental properties. It will really work out in the long run if you find someone that knows what they’re doing. If you are purchasing from out of state or out of town, I use my virtual reality house hunting platform if you’ve seen it in some of my previous videos, where I will upload a VR video to your own private portal and you can tour homes virtually. Lastly, you need to understand that the Austin market is hot, so when a fabulous little rental property hits the market, you’re going to have to pull the trigger pronto. If you find a good agent and you trust their advice, that will make it much easier. If you have any questions, feel free to reach out. I’m never to busy to help!